Photo courtesy of USDA Natural Resources Conservation Service. Soil testing is an important method in caring for newly planted trees because it tells a lot about the makeup of the soil surrounding a tree. Important decisions for meeting a trees needs can be made with this information. 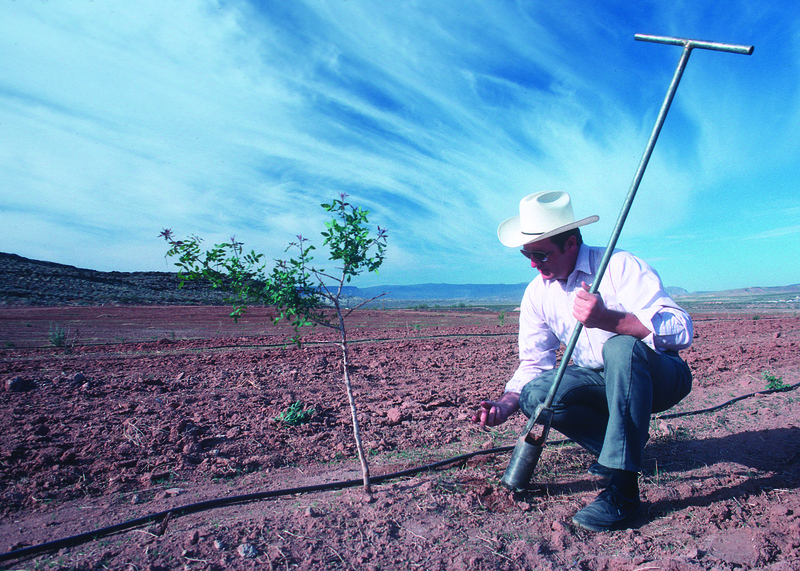 To test the soil around a newly planted tree, a sample should be taken from the area just outside of where the roots were planted. Nevada Tree, a Las Vegas tree service, can tell many things from soil testing, including the pH, soil type, concentration of important nutrients, and percentage of organic matter in the soil. This information will be used to determine the need for adding nutrients or adjusting the pH of the soil. It can also show how much water is filtering through the soil around the tree. If you have any questions or need soil testing done around your trees, contact Nevada Tree at 702-433-4700.